Home is dear to you and we’re here to help make it shine with a good window cleaning! Leave the ladders and buckets to us: sit back and relax while we take care of the work. We scrub your windows by hand with our professional window washing scrub brushes and window cleaning solutions, making sure we get deep into each and every corner. We then squeegee all the dirty water off the glass and wipe all the ledges, frames, sills, and tracks with a special window towel. We even clean all the screens with a wet brush and towel. If you want, you can watch our cleaning technique to see what we do. 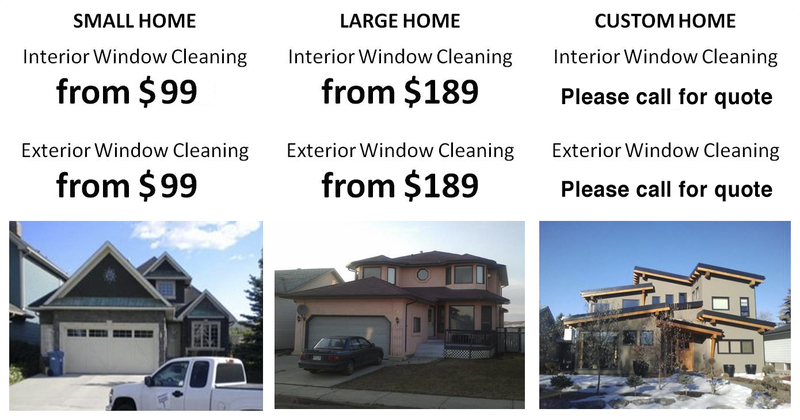 We clean windows inside and out for houses up 4 stories high in Calgary, Airdrie, Chestermere, Cochrane, and Okotoks. Call 403-265-9290 now for a free over-the-phone estimate! We take pride in our work. 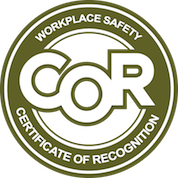 Our team is experienced, professional, covered by WCB, and insured. Find out why so many others are choosing Invisible Windows today! For window cleaning, the question we get most often is: what’s a pane? There are 7 panes in the photo above. In words, a window pane is a piece of glass separated by a divider. If you were to physically touch the glass and run your hand over it, every time you have to lift up your hand from the glass to touch the next piece it is considered a separate pane. For the best possible clean, we work one pane at a time. We scrub down each pane individually, making sure we get deep in the corners, and squeegee the glass. From there, we use a towel to detail all the edges of the glass and frame. Almost as much time is spent cleaning a small pane as a large one because of detailing. It takes time and effort, but the resulting gleam is more than worth it!